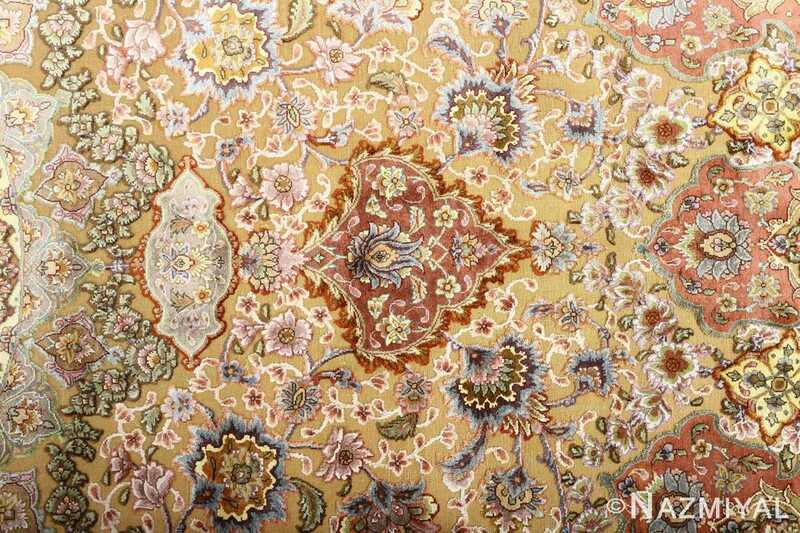 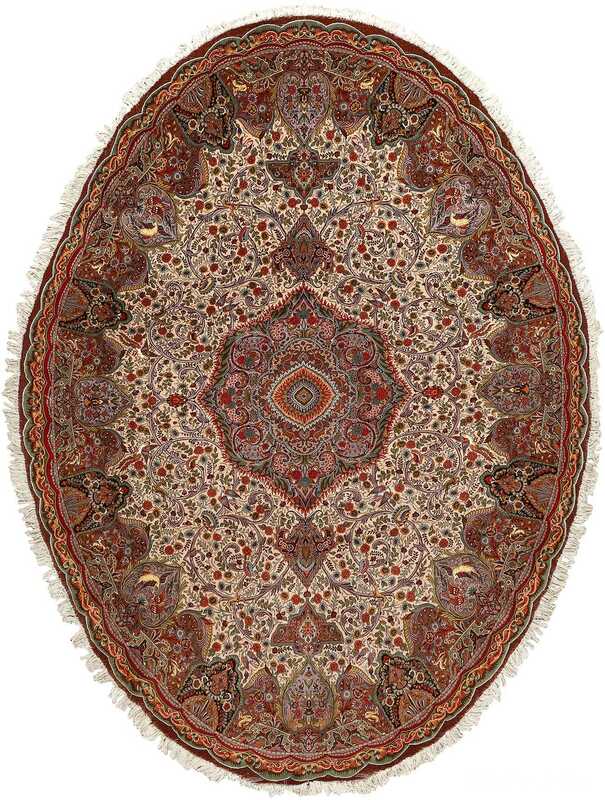 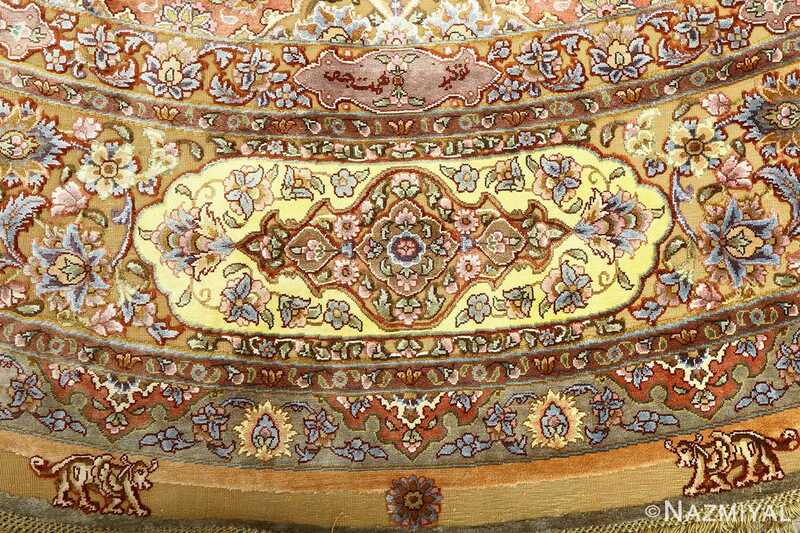 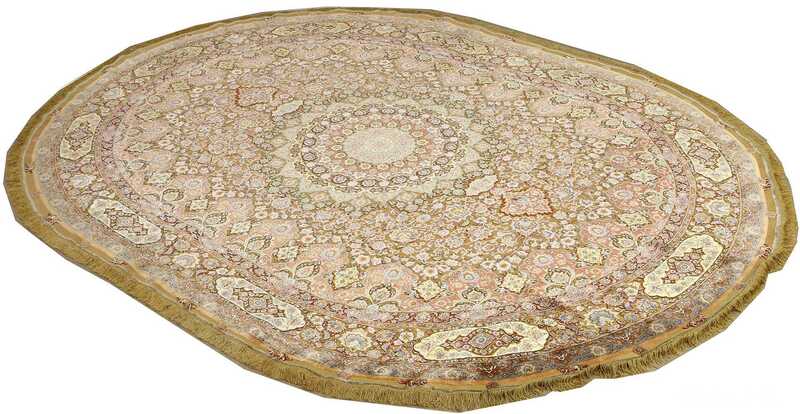 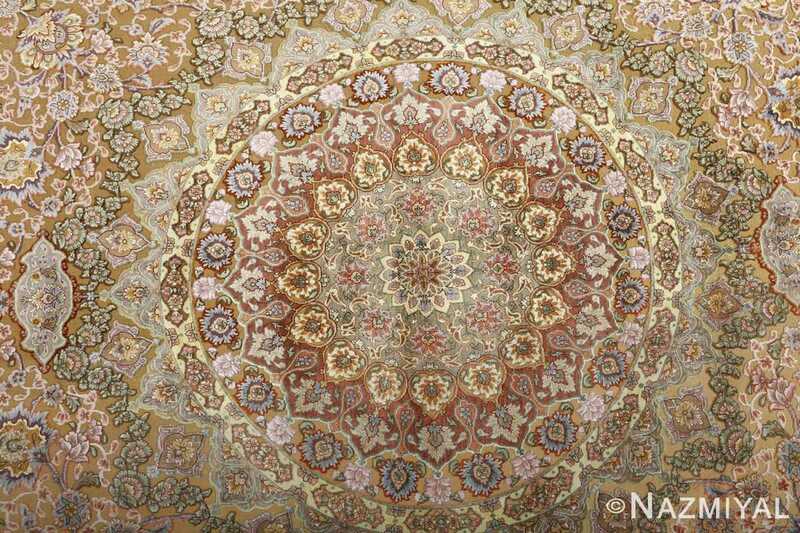 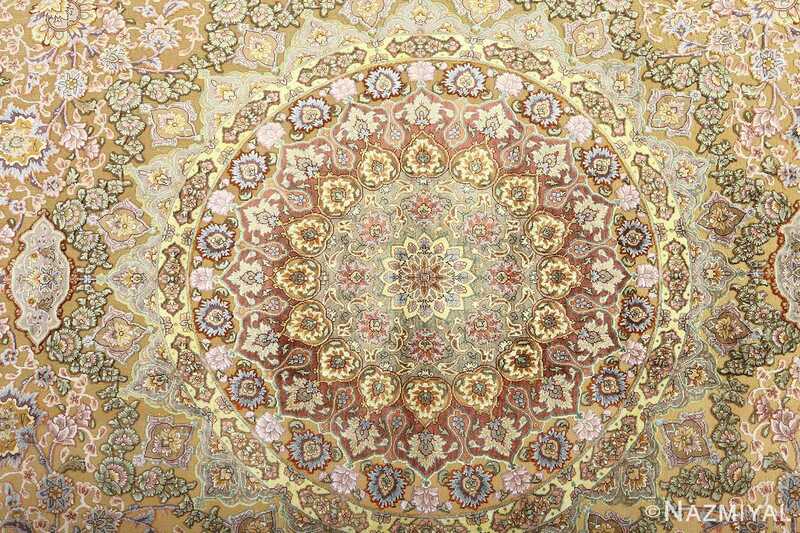 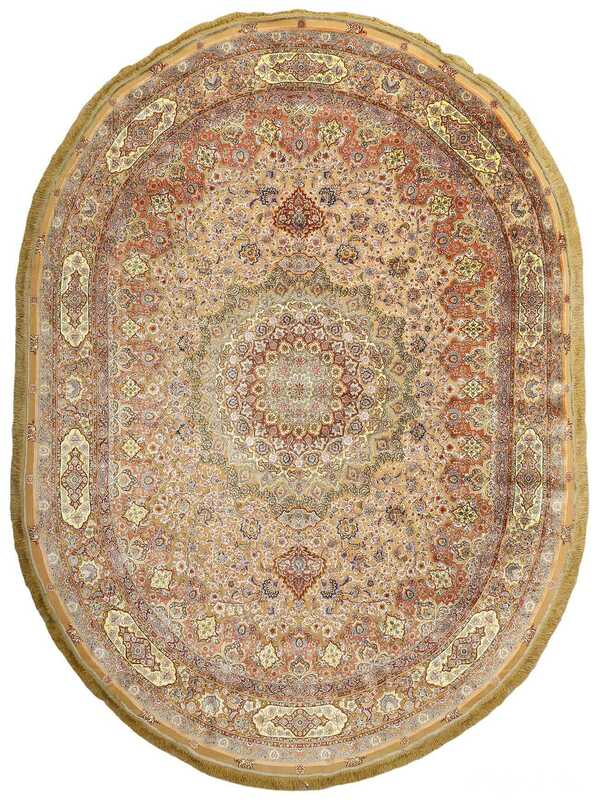 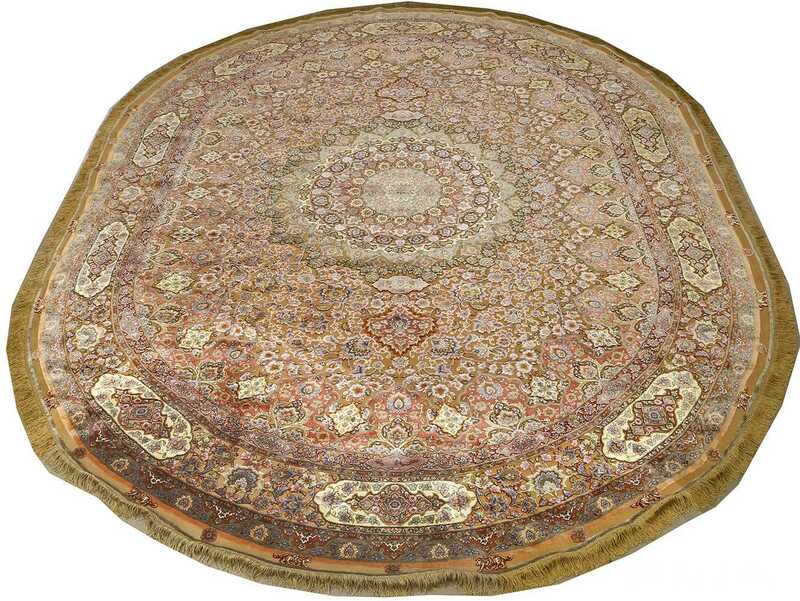 Elaborate and Intricate Oval Silk and Gold Threading Vintage Souf Tabriz Persian Rug 51086, Knots Per Square Inch: 500, Country of Origin / Rug Type: Vintage Persian Rug, Circa Date: Late 20th Century – Breaking from the traditional configuration of rectangular shapes, this beautiful round oval rug already sets a statement in its round appearance. 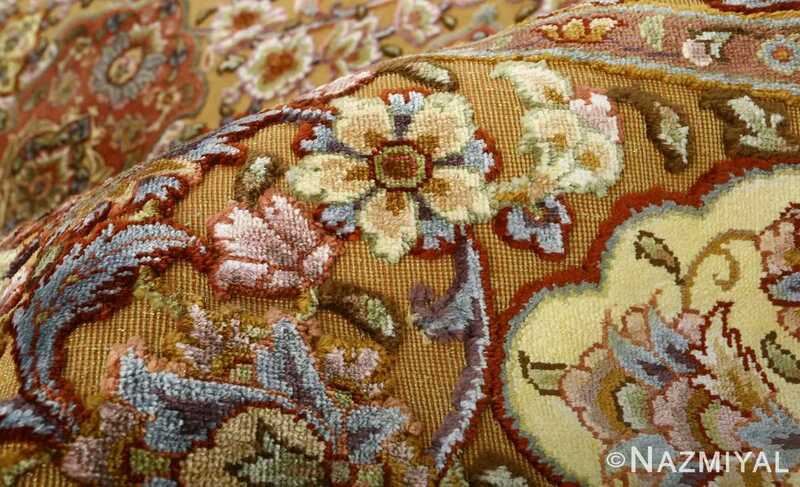 Warm, golden colors envelop the viewer’s vision, designed to not only appear inviting but also opulent. 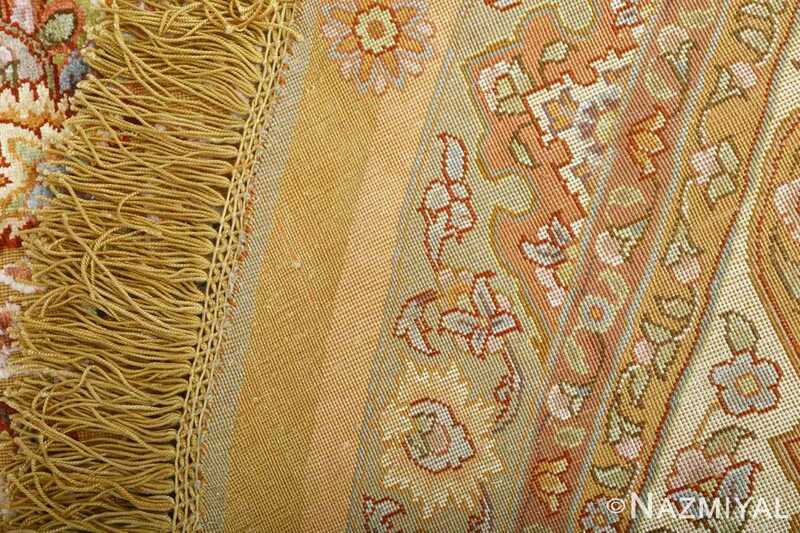 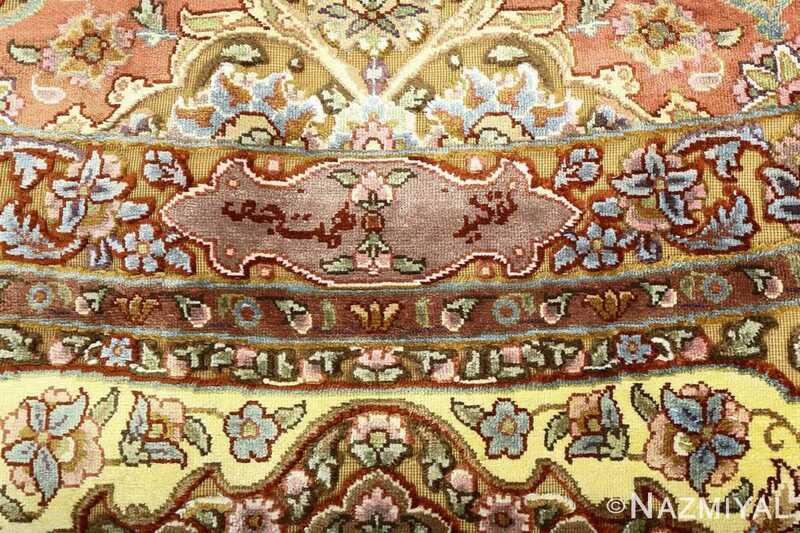 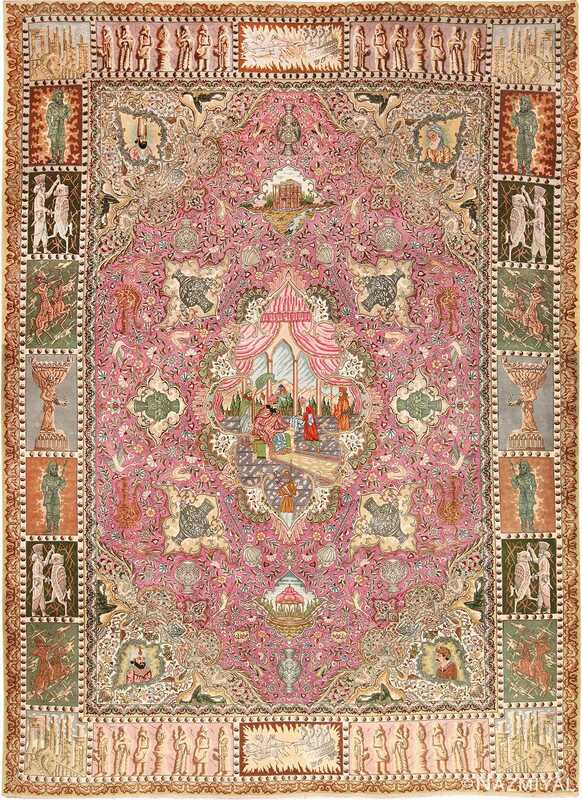 Richness springs to mind as the viewer takes in the details of the vintage Persian Tabriz rug, and there are ample sections of contrast along the borders and heart of the vintage rug that encourage activity at the foreground. 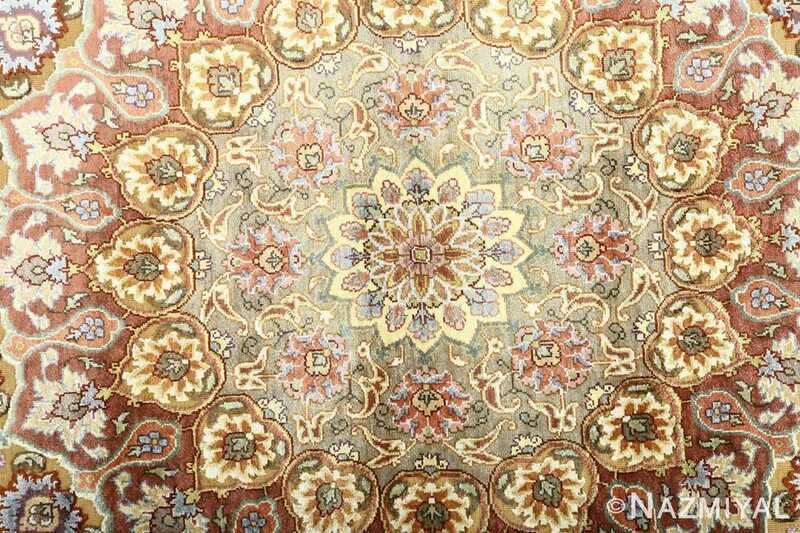 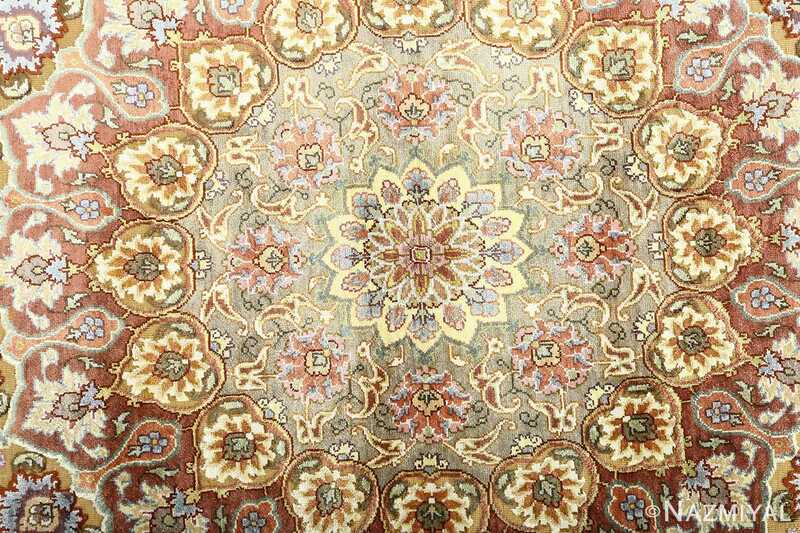 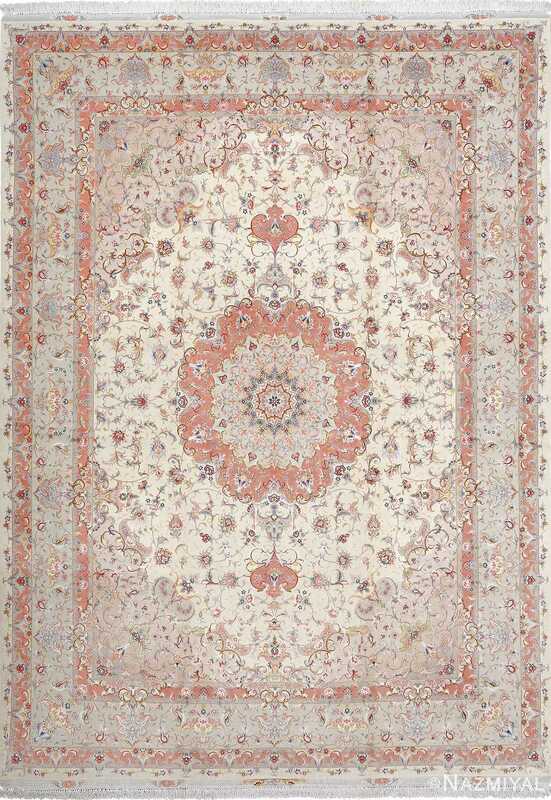 The circular layers add all the more presence through the floral elements within, culminating in the presence of the beautiful and colorful mandala set tastefully at the very center of the vintage Persian rug.